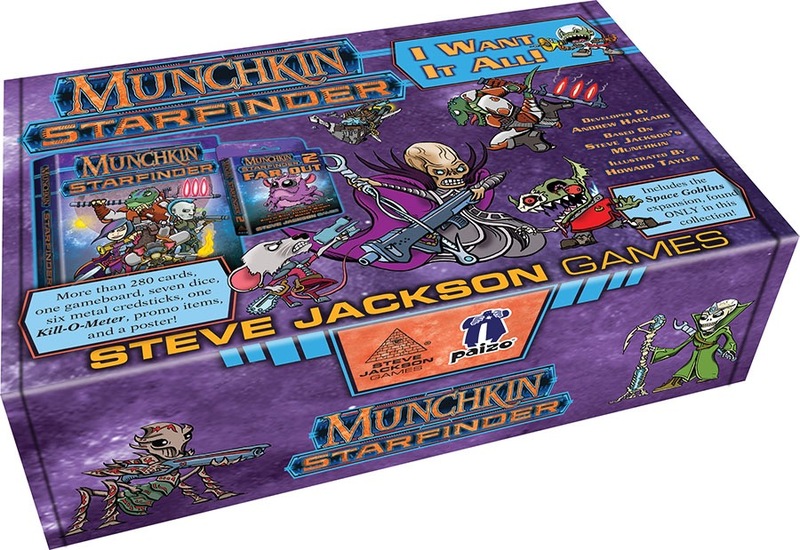 Get the complete Munchkin Starfinder collection with Munchkin Starfinder I Want it All! It contains all the physical rewards released and unlocked during the Kickstarter campaign, including items that will never go to retail separately. To prove that youve got it all, youll also receive a certificate with its own special rules and spots for signatures from Steve Jackson, Howard Tayler, and Andrew Hackard. The box even comes with its own Munchkin Starfinder rule!